Ryan's Smashing Life: Freedom Fry's East Coast Tour! Freedom Fry's East Coast Tour! This is the second summer I've been enjoying the songs from musical, dynamic duo Freedom Fry. 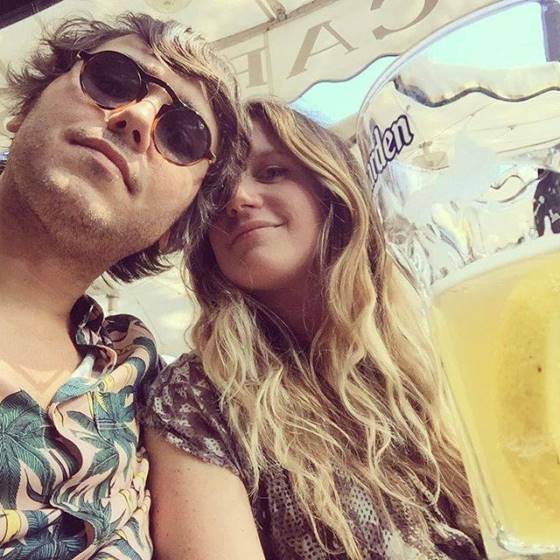 French songstress, Marie Seyrat, and Michigan-born musical chameleon, Bruce Driscoll (of Blondfire) have been making the most amazing music together in Los Angeles and we are big big fans. We play their music all the time on Outlaw Radio and I couldn't be happier to share their latest with you today on RSL. September marks their first ever East Coast tour. There's not a ton of time, so check the dates and plan to go out. To celebrate the pair have released a new video for their single 21. I've also included a few old favorites. This is unstoppable, feel-good music!